As an open source CMS platform with enormous possibilities and customization options, WordPress is already enriching us a lot. WordPress is the most widely used CMS platform powering millions of websites. Of course, WordPress is an excellent user-friendly CMS, but it is developer friendly also. That’s why there are too many free great themes and plugins available for WordPress. You can create a beautiful website absolutely free of cost without facing any hassle. You don’t even need to edit a single line of code. Here I am listing ten such awesome free WordPress plugins that you can use to build your dream website. Of course, there are more; you can always search the WordPress free plugin and theme repository to find your desired one. Let’s have a look on the list. WordPress has a built-in feature of Shortcodes. By default WordPress also supports may Shortcodes. But the Shortcodes Ultimate plugin is a premium quality option enriched with a free mega pack of shortcodes. With the help of this plugin, you can very easily create tabs, responsive videos, buttons, boxes, and much more. As an example, you can check the home page of blog.smartdraw.com; the Shortcodes Ultimate plugin generates the recent articles, popular posts and recommended sections. Check it by your own. It is listed under "WordPress" > "Plugins". The author name is Vladimir Anokhin. The name of the publisher is WordPress Plugin Repository. It was first get available on April 06, 2011. On February 20, 2019, it was last get upgraded. Tags: Slider, Columns, Button, Shortcode, Toggle. Meta Slider is easy to use WordPress slider plugin. You can make very efficient SEO optimized responsive slideshows. Moreover, there are many responsive slider options are available to choose from. They are Nivo Slider, Responsive Slides, Coin Slider, and Flex Slider. The blog hoop.nba.com has created their home page slideshow using the Meta Slider plugin. You can check it for reference. It is listed under "WordPress" > "Plugins". The name of the author is Team Updraft. The publisher is WordPress Plugin Repository. It was first get released on February 15, 2013. It was last get updated on March 25, 2019. Tags: Slideshow, Wordpress Slideshow, Widget, Slider, Seo. TablePress helps in placing attractive pricing tables or comparison tables without even writing any codes into your posts and pages. It makes the placement damn easy even for the non-coder person. Several design options are also available. You can visit the homepage of top10-websitehosting.co.uk to see the live example of TablePress plugin. They have used this plugin to create comparison tables. It is listed under "WordPress" > "Plugins". The name of the author is Tobias Bäthge. It is published by WordPress Plugin Repository. It was first get released on June 14, 2012. On February 22, 2019, it was last get upgraded. Tags: Html, Excel, Data, Csv, Table. Contact Form 7 is capable of handling various amounts of contact forms. The forms are fully customizable. You can also customize the email template. The forms are AJAX powered and also support SPAM protection like Akismet and CAPTCHA and much more. To see an example, you do not even need to go to any other website. We are currently using this Contact Form 7 plugin on our site. Just check our contact us page to get an idea. It is listed under "WordPress" > "Plugins". The author name is Takayuki Miyoshi. The name of the publisher is WordPress Plugin Repository. It was first get available on August 02, 2007. It was last get upgraded on December 18, 2018. Tags: Feedback, Email, Contact Form, Contact, Form. Gallery plugin is well known for its list of tools for adding and editing of the images for getting different types of image views. You can create several responsive galleries with exceptional quality. The propertyfair.thehindu.com utilized this plugin to create the property listing section on their website. You can check it live in action. It is listed under "WordPress" > "Plugins". The author name is Photo Gallery Team. It is published by WordPress Plugin Repository. It was first get published on January 30, 2014. It was last get upgraded on April 22, 2019. 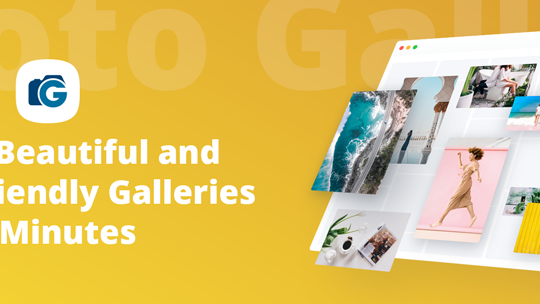 Tags: Image Gallery, Photo Gallery, Gallery, Wordpress Gallery Plugin, Responsive Gallery. WooCommerce is a popular eCommerce plugin which helps their users to sell anything. This free plugin is built for integrating seamlessly with WordPress. This plugin is quite flexible and comes with easy customization options. WooCommerce itself has more than hundred premium quality extensions to enrich your online store. To check a live example, you can visit the bookstore.entrepreneur.com. They have picked WooCommerce to develop their book catalog. It is listed under "WordPress" > "Plugins". It is developed by Automattic. The publisher name is WordPress Plugin Repository. It was first get available on September 27, 2011. It was last get upgraded on April 17, 2019. Tags: E-commerce, Sales, Ecommerce, Sell, Store. bbPress is a plugin which made for forum purpose. So if you are interested in adding a fast and efficient forum on your website, then bbPress is the most promising option. The bbPress plugin is very easy to integrate and so very much users friendly. The WordPress.org website itself is using this plugin to their support forum section. What else to say about this plugin? It is listed under "WordPress" > "Plugins". The author name is The BbPress Community. It is published by WordPress Plugin Repository. It was first get released on January 13, 2010. On February 26, 2019, it was last get upgraded. Tags: Discussion, Akismet, Support, Forums, Theme. With the help of Events Calendar, you can easily create and manage your schedule of events. It comes with a professional look, and its features backed by a trustable development team. This plugin also has a premium version with more features. The website like quality.mozilla.org is currently using this plugin to list all their events. You can check the events page on their website. It is listed under "WordPress" > "Plugins". It is developed by Modern Tribe, Inc.. The publisher name is WordPress Plugin Repository. It was first get released on January 19, 2010. It was last get upgraded on April 17, 2019. Tags: Events, Venue, Event, Calendar, Organizer. With these free Responsive Lightbox WordPress plugin, you can add a lightbox popup option on your images and videos. The design of the popup lightbox is mobile responsive. Again, for the demo, you do not need to go anywhere else. We are running this lightbox plugin on our website. Just click on the above image of this page, and you can see the lightbox demo. It is listed under "WordPress" > "Plugins". The name of the author is DFactory. The name of the publisher is WordPress Plugin Repository. It was first get released on July 08, 2013. It was last get upgraded on January 17, 2019. Tags: Gallery, Images, Theme, Photos, Lightbox. BuddyPress is a modern, robust, as well as sophisticated social network plugin for WordPress. The developers of BuddyPress give their entire focus mainly on the areas like integration, easy usability and also on its extensibility. This plugin provides user registration with profile creation option, option for private conversation, private connection, a private chat and group chat option and many more utility features that a social website can have. You can create any types of public or private community related to your company, school, sports team, or on the other niche. For example, the user profiles and community section of WordPress.org are developed using BuddyPress. You can check the profile page of Matt Mullenweg to get an idea about the profile page of this plugin. It is listed under "WordPress" > "Plugins". The author name is The BuddyPress Community. It is published by WordPress Plugin Repository. It was first get available on April 23, 2009. On February 26, 2019, it was last get upgraded. Tags: User Profiles, Activity Streams, Messaging, User Groups, Friends. The goodness of all these above WordPress plugins is free and being free they have not at all compromised a little bit in their features. They all practically filled with useful features which have all the potentiality to enhance the looking and utility of your website. Which are your favorite WordPress free plugins? Please share with us using the below comment form. Planning for Your First Product Video? Check These 7 Beautiful Examples!